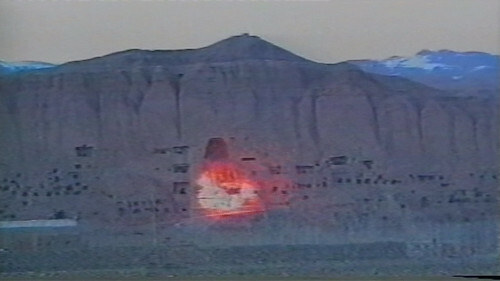 Still from Swiss Documentary "The Giant Buddhas" by Christian Frei. A film about the destruction of the famous Bamiyan Buddha Statues, blown up by the Taliban in March 2001. A film about terrorism and tolerance, ignorance and identity, fanaticism and faith.